With a crucial Bill passed in parliament (November 2018) means that from January 1, 2020, cross-border digital service supplies will be subject to Singapore GST. Foreign-based service providers will need to register for GST so as to collect and report it. Singapore’s 2020 vision means it will become the latest country to tax the supply of cross-border digital services. In his 2018 budget speech Singapore’s Finance Minister Heng Swee Keat revealed the plans to extend the city-state’s Goods and Services Tax (GST) system to cover digital services. The Singapore parliament passed the relevant bill in late November 2018. From January 1, 2020, Singapore will apply GST to cross-border B2C – and business-to-business (B2B) – digital service supplies. The extension of GST to these supplies is expected to bring in SGD$90 million (circa USD$65.5 million) of tax revenue each year. 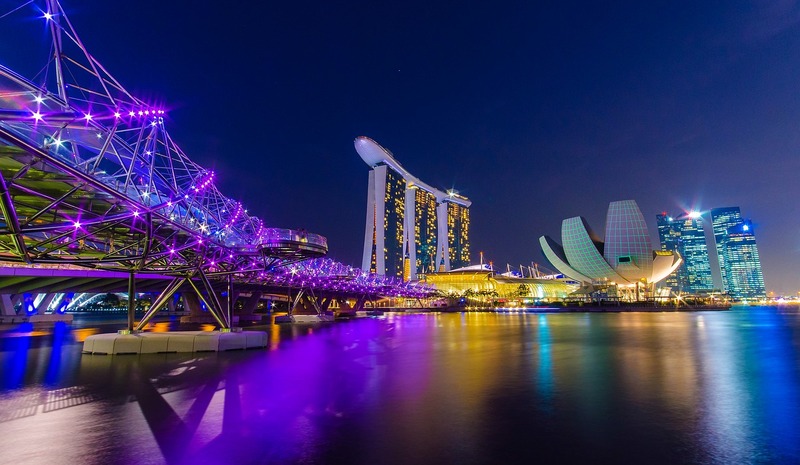 In doing so Singapore will mirror popular tax rule changes that have been introduced across the globe as the taxation of the digital economy gains popularity. In the past three years close to 50 jurisdictions have amended, or introduced new, pieces of legislation aimed at taxing the digital economy. As the global economy becomes increasingly connected, thanks to digitalization, there is an inherent unfairness from a tax perspective between domestic and overseas digital service suppliers. Tax authorities also recognise the fact that taxing such services can boost their revenue, hence the double appeal of introducing such rules. The aim of this rule change is to level the playing field in the GST treatment of digital services consumed in Singapore between local and foreign-based suppliers. At the moment GST is not applied to services provided by a foreign-based digital service supplier with no presence in Singapore. This will mean that (from January 1, 2020) affected businesses will have to register for Singapore GST via an Overseas Vendor Registration (OVR) model. This will require overseas suppliers and electronic marketplace operators which make significant supplies of digital services to consumers in Singapore to register with the Inland Revenue Authority of Singapore (IRAS) for GST. Make B2C supplies of digital services to customers in Singapore exceeding SGD$100,000. Once registered for GST, these businesses must be able to identify the location of their customer (using two pieces of non-conflicting evidence) and will be required to charge and account for GST on their B2C supplies of digital services made to customers in Singapore. The vendor collection model is the most commonly adopted mechanism globally for taxing imported services in B2C transactions, in accordance with the recommendations in the OECD International VAT/GST Guidelines. What digital services are under scope? According to the IRAS, digital services include services which are delivered over the Internet or an electronic network and the nature of which renders their supply essentially automated and involving minimal human intervention, and impossible to ensure in the absence of information technology. Support services performed via electronic means to arrange or facilitate transactions, which may not be digital in nature (e.g. service or booking fee charged to the suppliers or customers). On a positive note, Singapore’s information around this rule change is excellent. There are a series of FAQs on the IRAS site covering a host of issues, more here. It is also important to note that the GST rate in Singapore may increase from the current 7% to 9% sometime in the period between 2021 and 2025. Here at Taxamo, of course, we will keep you up-to-date on any developments. Find out more about our service here.